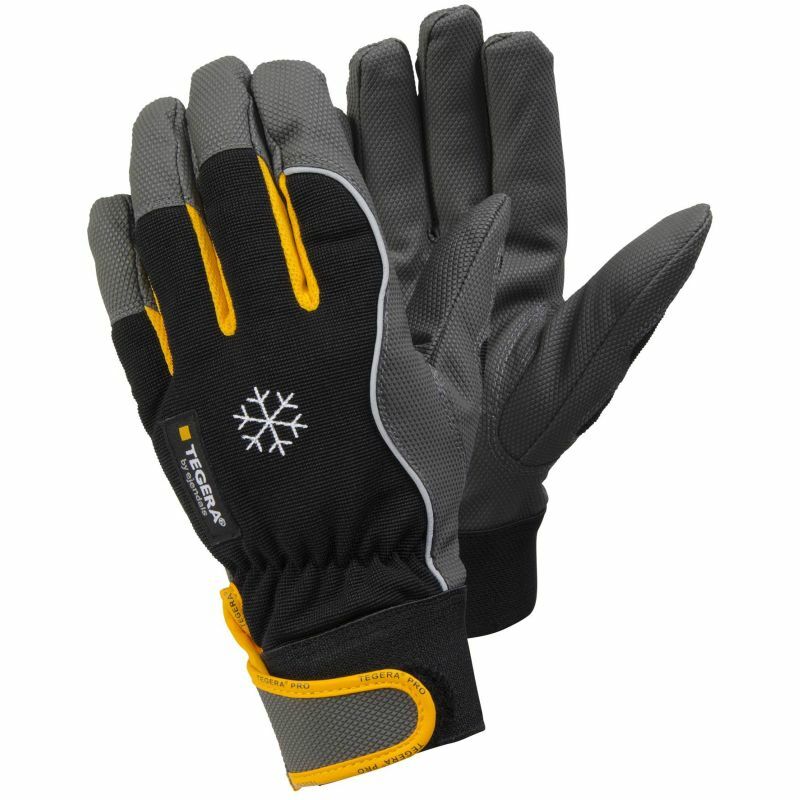 With Level 2 cut resistance, warm fleece lining, water-repellent exterior and reinforced design, the Ejendals Tegera 9122 Insulated All Round Work Gloves are exceptionally versatile and suitable for a huge variety of medium duty tasks. They are supplied in an attractive black/grey/yellow design with a diamond grip pattern and Velcro fastening at the wrist for an even more comfortable fit. The 9122 Insulated Work Gloves are designated Category II gloves, which means that they are suitable for most medium risk tasks. Gloves are placed in this category when the risk is assessed as not irreversible. The Tegera 9122 Insulated All Round Work Gloves are available in five sizes that should suit the hands of most users. Please measure the circumference of your hand around the knuckles (excluding the thumb) with your hand open and your fingers together, and the length of your hand from the tip of your middle finger to your wrist.